Boca Raton Restoration Company was established two decades ago with the aim to help people in and around Boca Raton, FL area to get back to normal living after a disaster. Since then, we have helped hundreds of families to get their property back in shape and start afresh. Over the years, we have become a reliable name in the community and are the foremost agency in damage mitigation and restoration today. With a broad range of services, we cater to both residential and commercial properties, helping distressed property owners get back to normal life. In the last twenty years, we have handled almost everything- right from fixing water leakage to restoring properties ravaged by fire, there is no disaster that we have not covered. We have a team of highly specialized professionals onboard. Armed with the latest knowhow and equipments, we have been able to manage every challenge thrown at us. With a strong commitment towards the community, we have quickly risen to become the one-stop solution for all kinds of damage restoration services. When there is a fire or flood breakout or when mold attacks a property, the most important thing to do is to begin the remedial processes as soon as possible. With every hour gone, the damage only aggravates and can permanently damage your possessions. 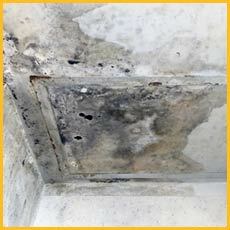 Also, the soot and smoke can penetrate deep into the structure of your property and cause extensive damage. In all our years of handling damage restoration, we have realized that starting the restoration process early on is the key to salvaging the property. This is why we respond fast when called on 561-275-5990, and strive to reach our customer in less than 30 minutes. 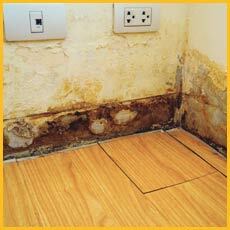 Once we are at your doorstep, we work fast to restore your property to its pre-damage condition. Disaster can happen anytime, and waiting till the morning hours to receive help can spell doom for many property owners. With time, the damage may become permanent and increase your losses. 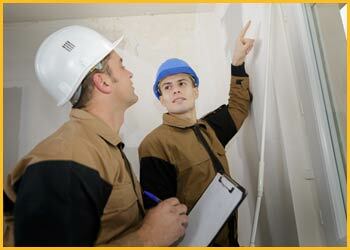 At Boca Raton Restoration Company therefore we do not follow standard business hours. We are available 24x7 all through the year. No matter where in the region you are located, all you have to do is call us and we will be with you in the shortest time. To offer the highest quality services, it becomes crucial to deviate from the convention and explore newer methods of working. We are equipped with cutting edge tools and technologies to help refine our work and enhance efficiency. We are constantly striving for the best and don’t settle for the mediocre. While other technicians may opt to tear off your flooring to find leaks, we use non-invasive techniques for the same. We are quick, efficient, use modern technologies and are committed to serving the Boca Raton, FL community. When disaster turns your life upside down, it helps to know that we are there to help you get back on your feet again. All you have to do is dial 561-275-5990 and we will be there with you in the shortest time.